"Battery-centric web site Battery University explains the real relationship behind battery life and charging. 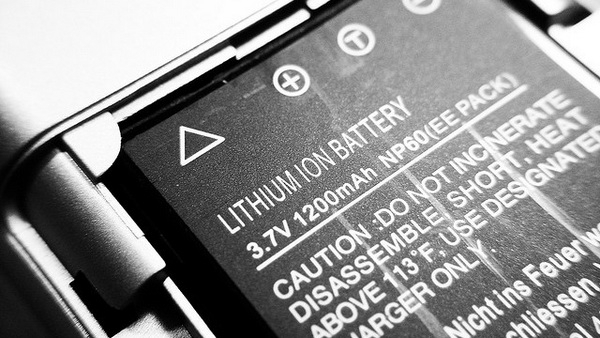 Lithium-ion batteries-the batteries present in most modern smartphones and laptops-don't need to be fully discharged every once in a while to retain battery life, as many of us have been told. In fact, it's quite the opposite..."
Over the years, I'm sure we've all heard a lot of crazy battery advice: don't recharge your phone/laptop/MP3 player until it's completely dead; don't charge it too often; when you're not using it, take out the battery, etc. Much like telling someone they need to defrag their Wi-Fi connection, some of these "tips" just aren't true. This article gives you some important tips about how to maximize the battery life on your portable device. Everybody KNOWS that taking the kinks out of your ethernet cable does a MUCH better job of speeding up your connection! No shortage of confusing battery care protocol advise out there for sure. Apple specifically recommends completely discharging their Li-Ion polymer batteries once per month. Personally, I'm inclined to follow their advice. They do, after all, know a thing or two about battery technology. That's just asking for trouble. Once every quarter at most. That's to recalibrate the battery gauge, not preserve the battery. I guess it depends if you trust them to be honest - they have a vested interest (profit) in having people trash their batteries fast and go back to Apple stores to get them replaced. My research over time has fairly consistantly found corroboration of LiIon's really disliking full discharges. They should be used, but full discharges can be deadly. That includes the slow discharge in a device that is 'turned off'. If I'm storing a device for a long period I'll charge the LiIon and then remove it and rubber band it to the device. That's not what is recommended, but it's convenient. There was a lot more conflicting info around when there were half a dozen technologies floating around, NiCad, NiMH, LiIon and others. Each had their own pros and cons, and often were confused. Really, Jason? I know you dislike Apple, but I'm sorry, I think your insinuation is ridiculous. I read Apple's article closely. Nowhere does it say a "deep discharge." Rather, they suggest you use the battery instead of having it plugged in (or off) all the time, i.e., discharge the battery and charge it back up. Moreover, most notebooks, Apple's included, shut off before the deep discharge to prevent permanent damage to the battery. As for myself, I make sure to do a full initial charge, and then I use the battery how I see fit. I try to avoid leaving my laptop plugged in at all times, and that's about it. I'm suspicious of pretty much all corporations to a certain extent, so it's not just about Apple. That's about the most practical suggestion there is, and it fits in two sentences.